A theme garden can be anything from potted tulips on your front porch to an elaborate landscape sprawling several pristine acres. You may enjoy taking the time to develop a theme for your garden. Garden themes don't have to be complicated. 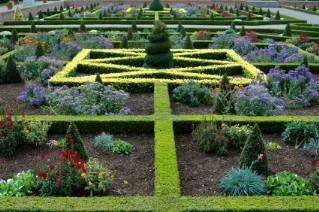 Your theme can be very general like a vegetable garden or a flower garden. Theme gardens with the most creativity reflect something about the owner of the garden. You can enjoy the burst of colors after the snow has melted away with a Spring Garden. If you love to relax with a book and a cup of chamomile tea, a Tea Garden may be just what you are looking for. Your children or grandchildren are sure to enjoy watching nature in a Butterfly Garden. The possibilities are endless. Check the site often, as new ideas for theme gardens are added frequently. You never know what new theme will be introduced next when you visit LTK Garden! Ideas for themes can work like seeds in your own imagination as you create a garden theme all your own by incorporating different themes to different areas of your yard. The only limits are your imagination.